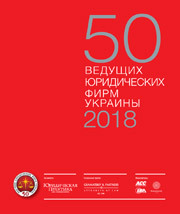 The Ukrainian research program “50 leading law firms of Ukraine” is known well to both lawyers and their clients because in the course of 18 years we have been conducting a comprehensive assessment of the situation on the Ukrainian legal services market. Market leaders are determined in accordance with a number of established criteria: number of lawyers, profitability, complexity of cases that they service, financial performance, etc. 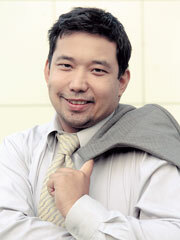 The reputation of the law firm in a professional environment is also taken into consideration. The rank acquired by a certain law firm in the final tables of “50 leading law firms of Ukraine 2014”, “Bronze league” and the regional listing are all determined by its rating, as calculated on the basis of the above indicators using weighted coefficients. 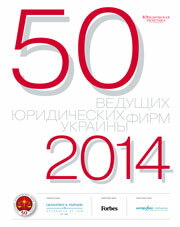 Leaders in some industrial practices were identified on the basis of research called Ukrainian Law Firms 2014. A Handbook for Foreign Clients, as conducted by the publishing house “Yuridicheskaya Practika” with necessary amendments in connection with change of employment by some lawyers (up to leaving the legal profession). The period under study covers Q4 of 2013 and QI-III of 2014. We are grateful to all market participants who at this difficult time agreed to honestly and objectively describe their global accomplishments and situational losses. At the same time, the editorial office reserved the right to selectively cross-check the information obtained during the survey. All the data was aggregated using weighted coefficients, the essence of which is considered to be a commercial secret and is not subject to disclosure. In evaluating the performance of law firms we applied a common approach, and in this respect all the participants studied were compared on equal terms. The ratio of the coefficients was selected so as to most naturally integrate financial performance, professional scale and the reputation of law firms into the final table. We are aware of the strict requirements towards confidentiality of certain information provided by the law firms and do not divulge information disclosed to us exclusively for carrying out this survey. Data not subject to publication is hidden behind the acronym CHP. However, we consider it possible to disclose information, for example, about a company’s profitability and its financial performance, calculated by us in accordance with specially developed methodology or on the basis of information obtained from open sources. Confidentiality rulesalso apply tothe practical characteristics of the activities oflaw firms:the largesttransactions andlitigation/arbitrationproceedings (relevant tablesincludeonly publicprojects). 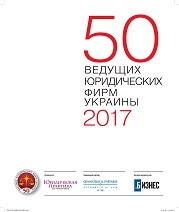 According to the methodology used to research the “Top-50 leading Ukrainian law firms” only staff lawyers (including partners) were reviewed. If the number of lawyers in several companies was similar, law firms were ranked according to the number of partners (in descending order). In case of an equal numbers of partners then grading was performed depending on the year of establishment of the company. If all the said parameters matched up the participants were listed in the relevant table in alphabetical order. In order to carry out the “Top-50 leading Ukrainian law firms” survey, we analyzed only the income received by a certain company from the sale of legal services. 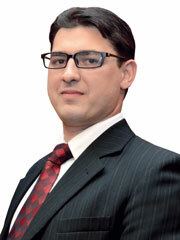 Traditionally, some law firms abstain from disclosing such information even on a confidential basis. In this case, we applied a procedure for defining the amount of income based on the assumption that law firms, which formally have a similar profile, receive approximately the same revenue per lawyer. The final figures received may, in this case, slightly differ from the actual figures, which, however, has no significant effect on the rating position of the law firm in view of the multifactor nature of the model applied. In order to smoothenout the variation inmonetaryand otherquantitative indicatorsand to balance theposition oflaw firmsin the final table a reputationalcriteria is applied. No matter how bigthe revenue of a law firm is or how many lawyers it has, the lack of reputationalpoints (the overall reputationof the companyandreputationin the context of its individualpractices was assessed)had a significant effect on thefinalresults. So as to verifyand correct(if necessary) the ratingsubtotalsat the final stageof the study, we engaged the services of expertsofthe legal services marketwhoconductedquality assessment of the ranking.At the same time, according to established rules, experts couldchange the position of no more than 15law firmswhose result, in their opinion, needed adjustment, and the maximum increase or decrease inthe ranking table could not exceed10 positions. Following the assessment the experts’ results were summarizedandcorrection factorswere calculatedregardingevery law firm analyzed by them. 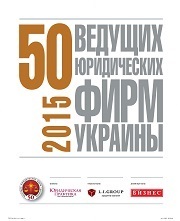 The authenticity and objectivity ofthe expert review is attained thanks toconfidentiality- the names ofthe expertsare revealed (including to other experts) concurrently with publication of the results of “Top-50 leading Ukrainian law firms”. We carry out apartialrotation ofthe members who sit onthe expert committee every year.